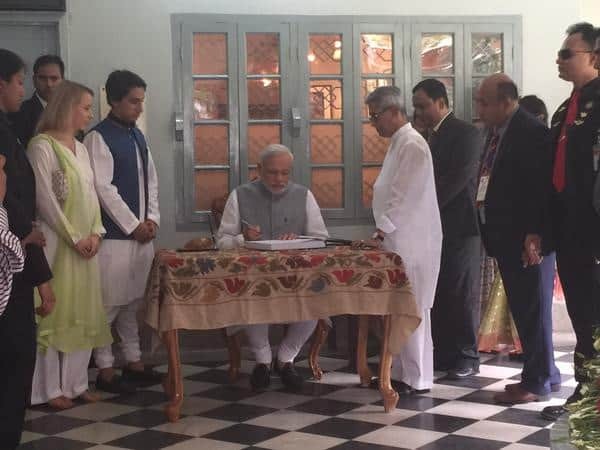 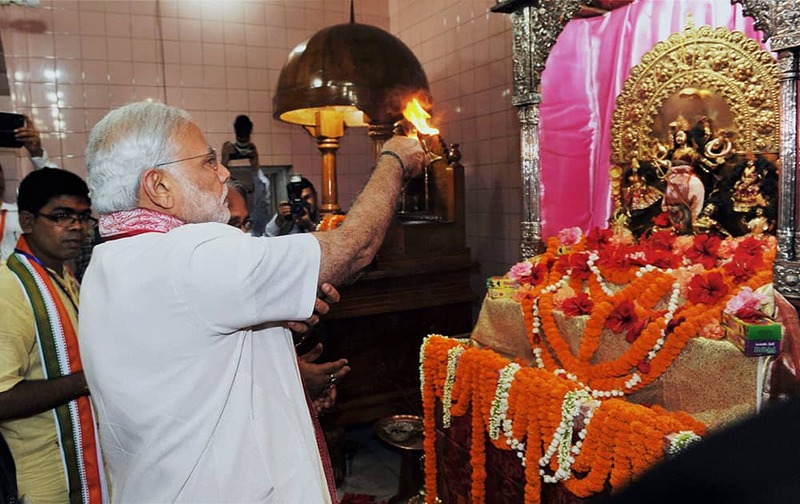 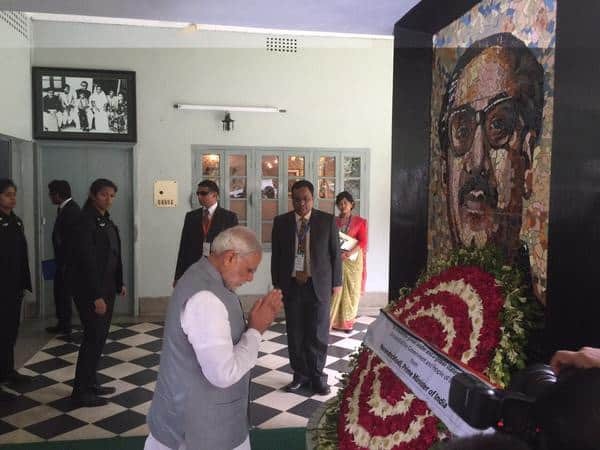 PRIME MINISTER NARENDRA MODI OFFERS PRAYERS AT SREE SREE DHAKESHWARI NATIONAL TEMPLE IN DHAKA, BANGLADESH. 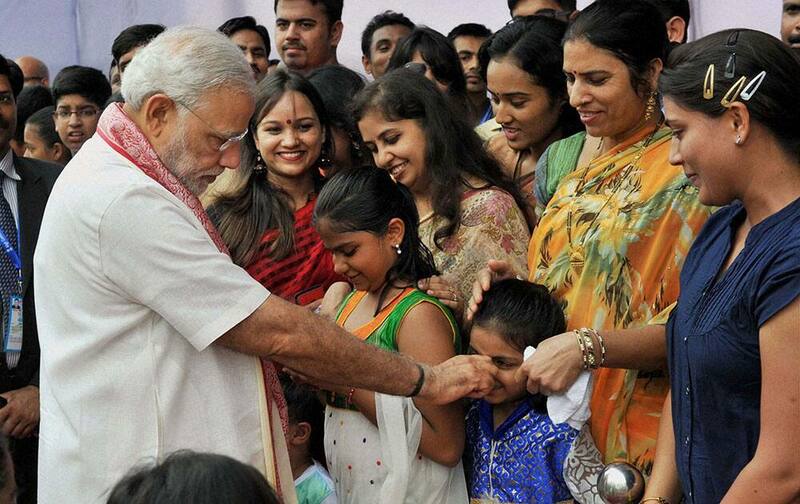 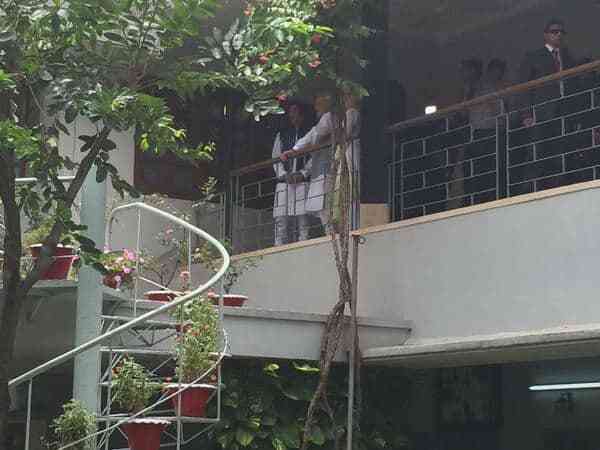 Prime Minister Narendra Modi plays with a kid during a visit to New Chancery Complex in Dhaka. 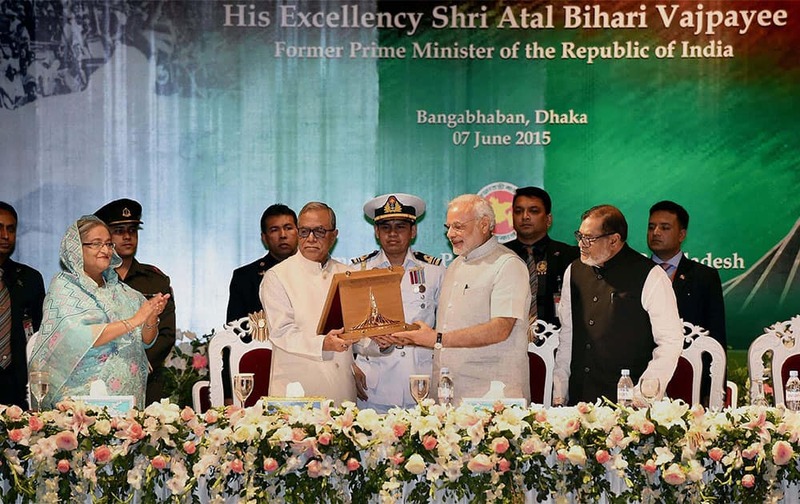 Prime Minister Narendra Modi receives from the President of Bangladesh Mohammed Abdul Hamid the Bangladesh Liberation War Honour on behalf of former Prime Minister Atal Bihari Vajpayee at President House in Dhaka. 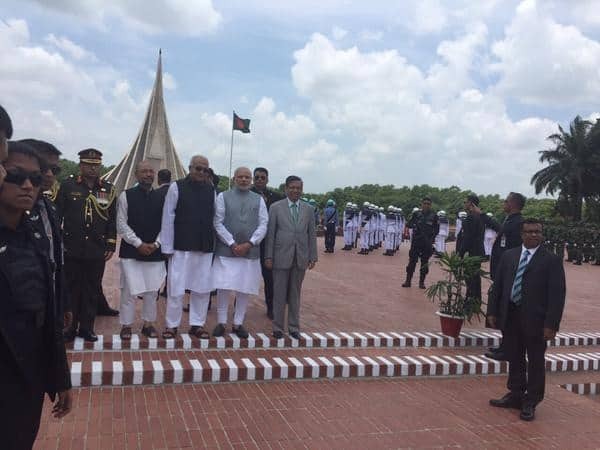 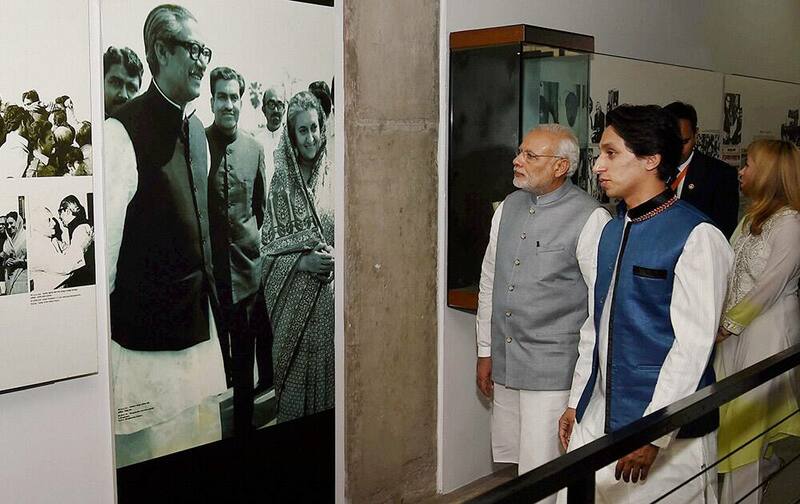 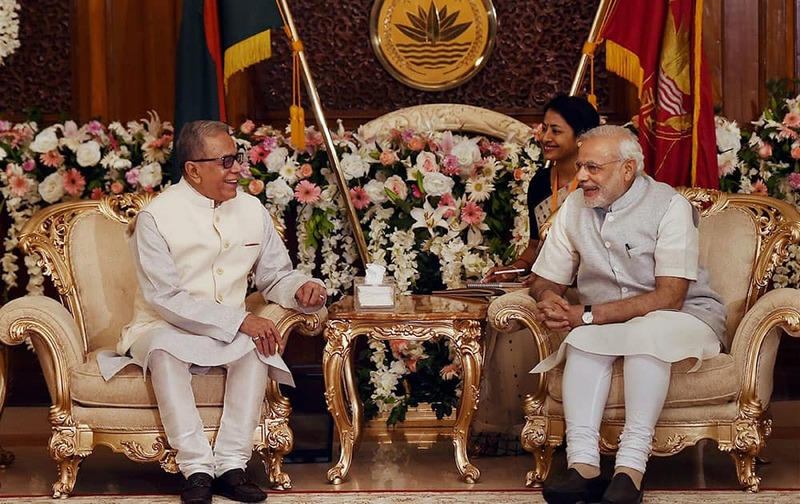 Prime Minister Narendra Modi with the President of Bangladesh Mohammed Abdul Hamid before receiving the Bangladesh Liberation War Honour on behalf of former Prime Minister Atal Bihari Vajpayee at President House in Dhaka. 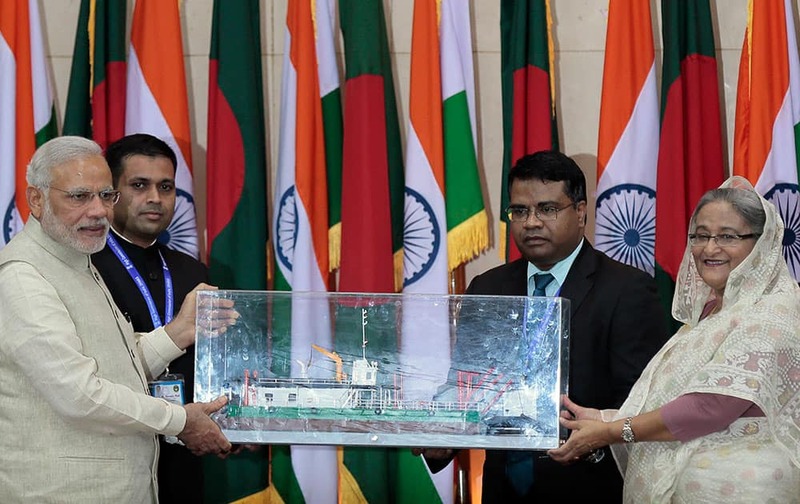 Indian Prime Minister Narendra Modi hands over a model of a ship to Bangladesh’s Prime Minister Sheikh Hasina in Dhaka, Bangladesh. 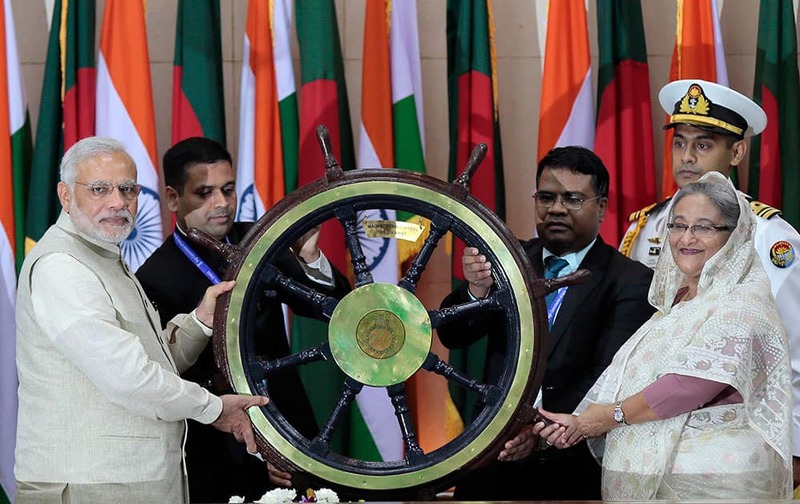 Indian Prime Minister Narendra Modi hands over the steering wheel of the INS Vikrant, Indian Navy's aircraft carrier, to Bangladesh’s Prime Minister Sheikh Hasina, in Dhaka, Bangladesh. 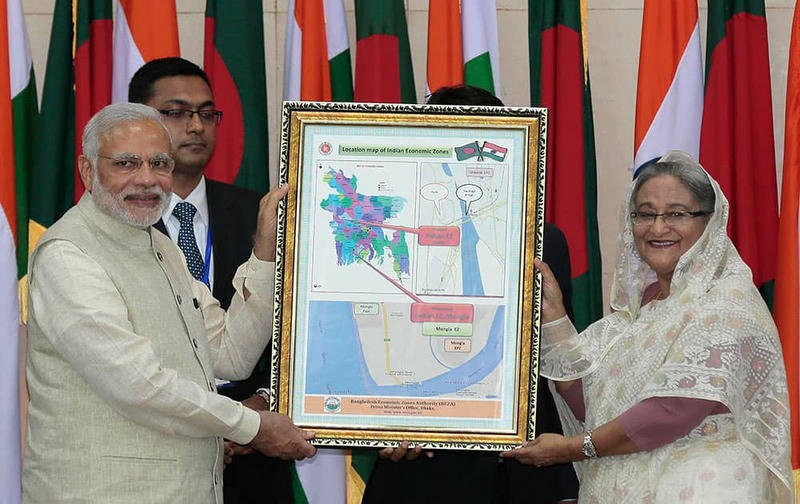 BANGLADESH’S PRIME MINISTER SHEIKH HASINA, RIGHT, AND INDIAN PRIME MINISTER NARENDRA MODI HOLD A LOCATION MAP OF INDIAN ECONOMIC ZONES DURING AN AGREEMENT PROGRAM IN DHAKA, BANGLADESH. 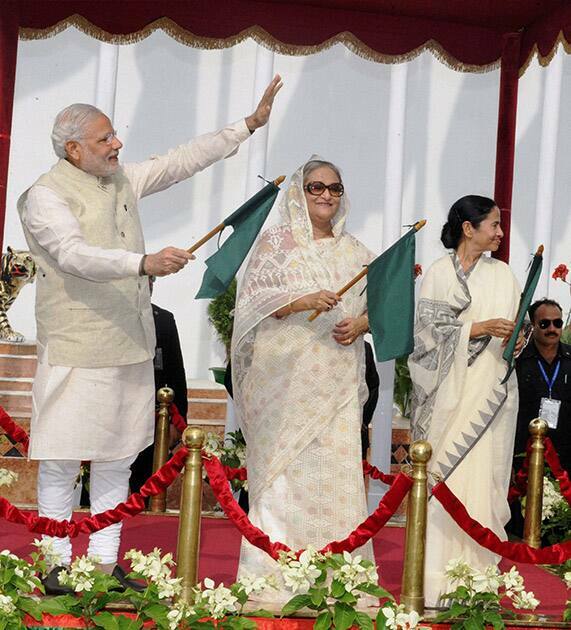 Prime Minister Narendra Modi, his Bangladeshi counterpart Sheikh Hasina and West Bengal Chief Minister Mamata Banerjee at the flag off ceremony of bus services between Bangladesh and India, in Dhaka. 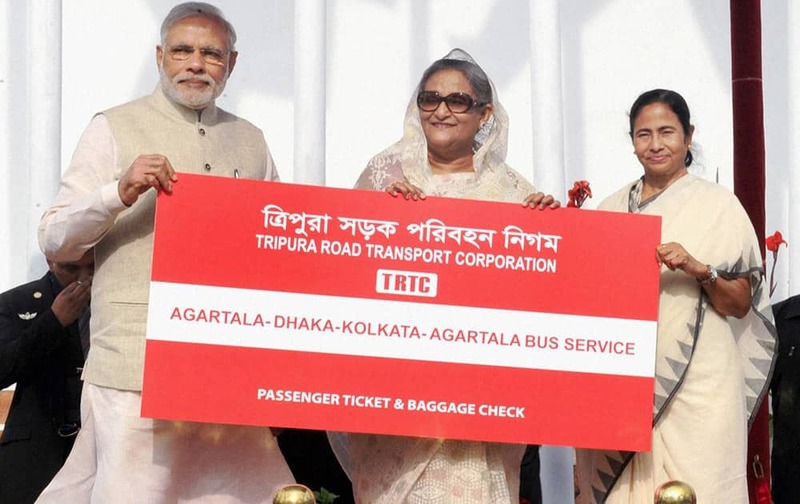 Prime Minister Narendra Modi, his Bangladeshi counterpart Sheikh Hasina and West Bengal Chief Minister Mamata Banerjee flagging off the Kolkata-Dhaka-Agartala bus service, in Dhaka. 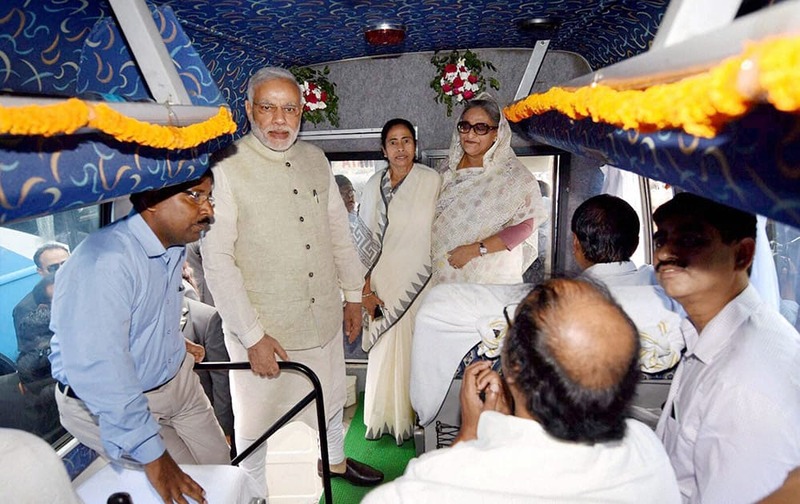 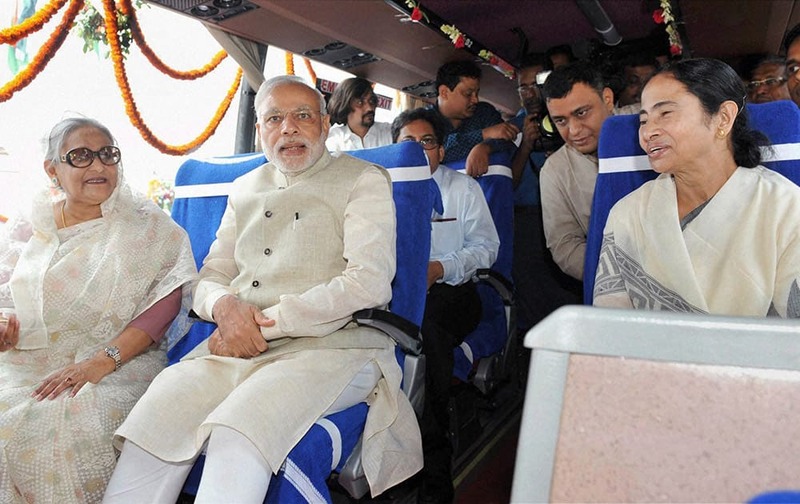 Prime Minister Narendra Modi, his Bangladeshi counterpart Sheikh Hasina and West Bengal Chief Minister Mamata Banerjee sitting in a bus at the flag off ceremony of bus services in Dhaka. 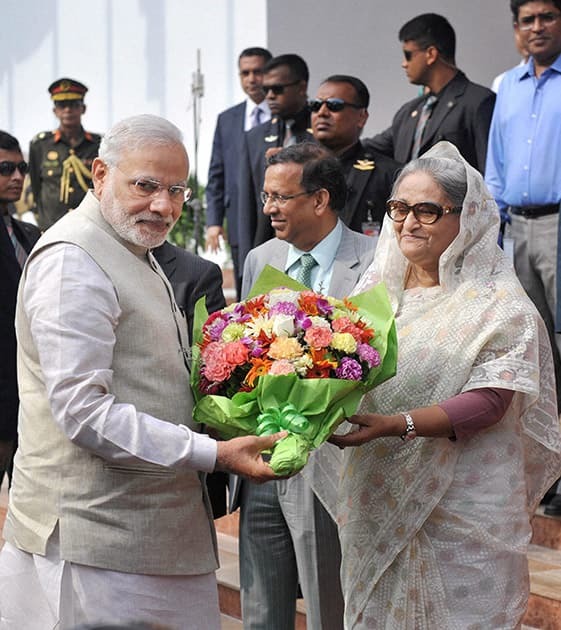 Prime Minister Narendra Modi and his Bangladeshi counterpart Sheikh Hasina at the flag off ceremony of bus services between Bangladesh and India, in Dhaka. 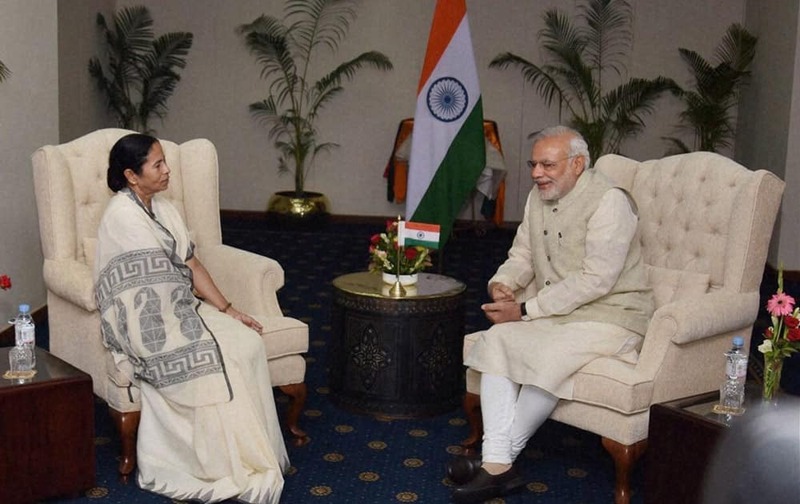 Prime Minister Narendra Modi and West Bengal Chief Minister Mamata Banerjee in a meeting in Dhaka. 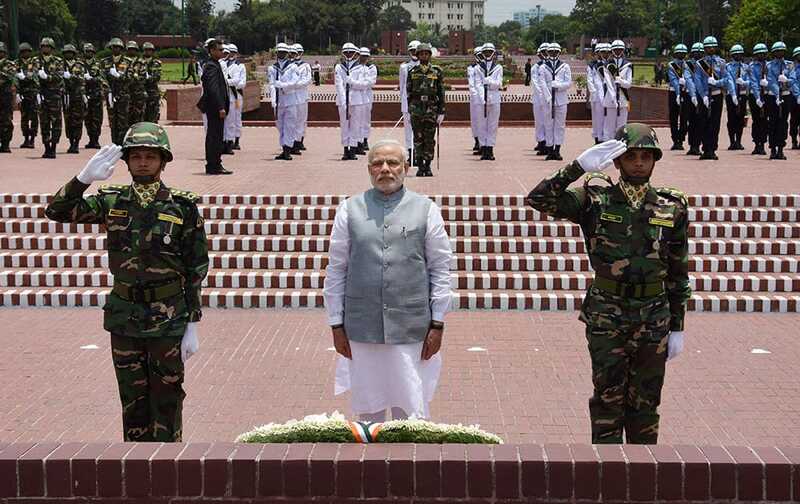 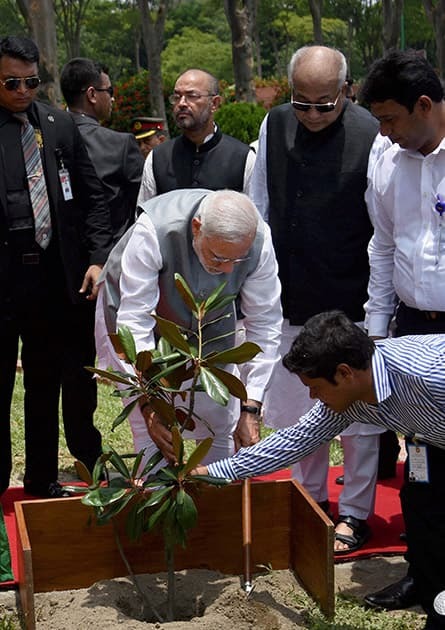 Prime Minister Narendra Modi planting a sapling at National Martyrs Memorial, in Dhaka. 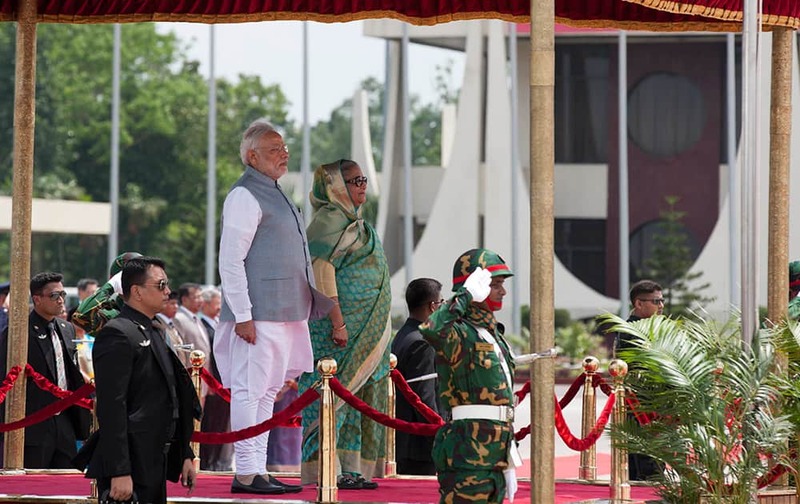 Prime Minister Narendra Modi inspects a Guard of Honor, with Bangladesh’s Prime Minister Sheikh Hasina by his side at the Hazrat Shahjalal International airport in Dhaka, Bangladesh. 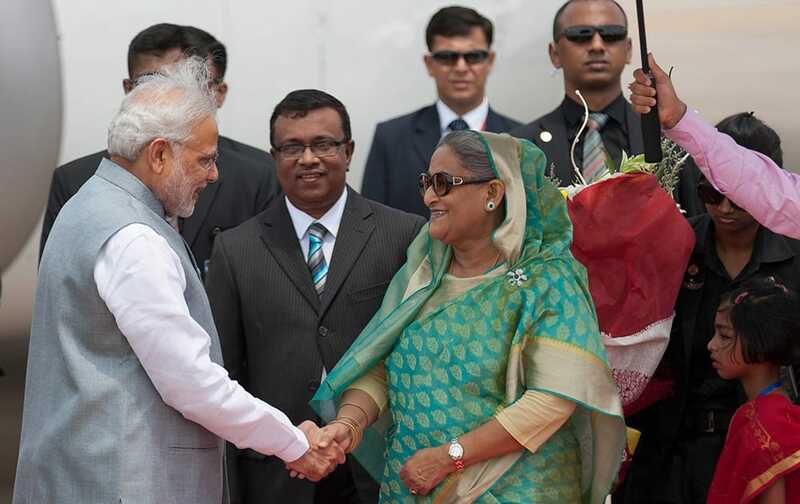 Bangladesh’s Prime Minister Sheikh Hasina shakes hand with Indian Prime Minister Narendra Modi upon his arrival at the Hazrat Shahjalal International airport in Dhaka, Bangladesh. 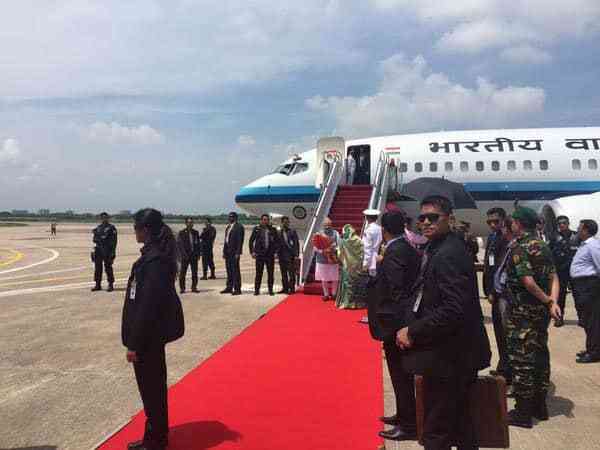 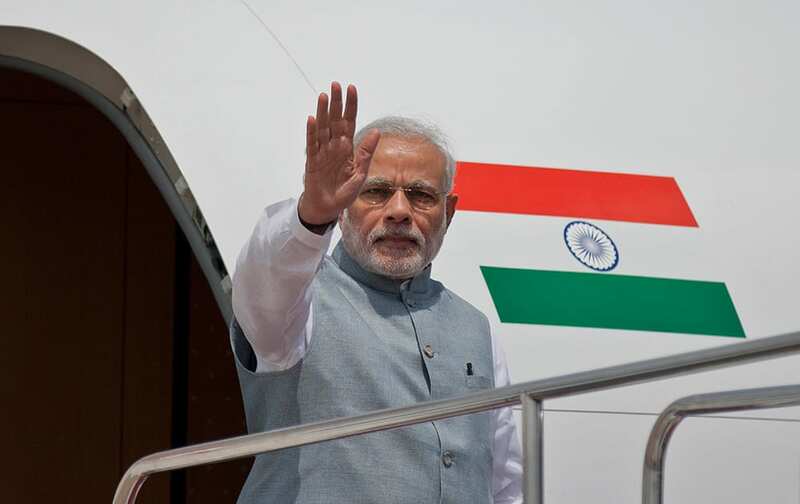 Prime Minister Narendra Modi waves to the gathering upon arrival at the Hazrat Shahjalal International airport in Dhaka, Bangladesh.